The County Health Rankings & Roadmaps program — a collaboration between the Robert Wood Johnson Foundation and the University of Wisconsin Population Health Institute — released its 2019 rankings on Tuesday, and the rankings showed more of the same for Delaware County. 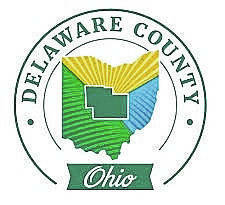 For the fifth year in a row, Delaware County was named the healthiest of Ohio’s 88 counties. The rankings are broken down into two categories: health outcomes and health factors. Delaware County ranked first in both categories. Health outcomes include two subcategories — length of life and quality of life — which Delaware County topped the list in both. Length of life reflects how many years of life are lost before age 75, per 100,000 residents. A three-year span from 2015-17 was analyzed, and numbers were adjusted to reflect the differing demographics of each county. Subcategories for health factors are health behaviors, clinical care, physical environment, and social and economic factors. Delaware County ranked first in the state in all subcategories but the physical environment, where it finished 44th. Factors considered for the physical environment include air pollution, housing issues, and average commute times to work. Health behaviors analyzed include adult obesity rates, smokers, physical inactivity, access to exercise opportunities, and alcohol-impaired driving deaths, among others. Social and economic factors look at, among other things, education levels, unemployment rates and violent crimes. As for the top 10 healthiest counties in the state, Delaware was followed by Putnam, Geauga, Medina, Holmes, Warren, Union, Mercer, Auglaize and Henry. The bottom 10 counties in the state health rankings were Highland, Clark, Montgomery, Jackson, Lawrence, Scioto, Meigs, Gallia, Pike and Adams. Licking, Morrow, Knox, Franklin, and Marion counties ranked 25th, 35th, 38th, 48th, and 76th, respectively. To view the full rankings and breakdowns of each county, visit www.countyhealthrankings.org.